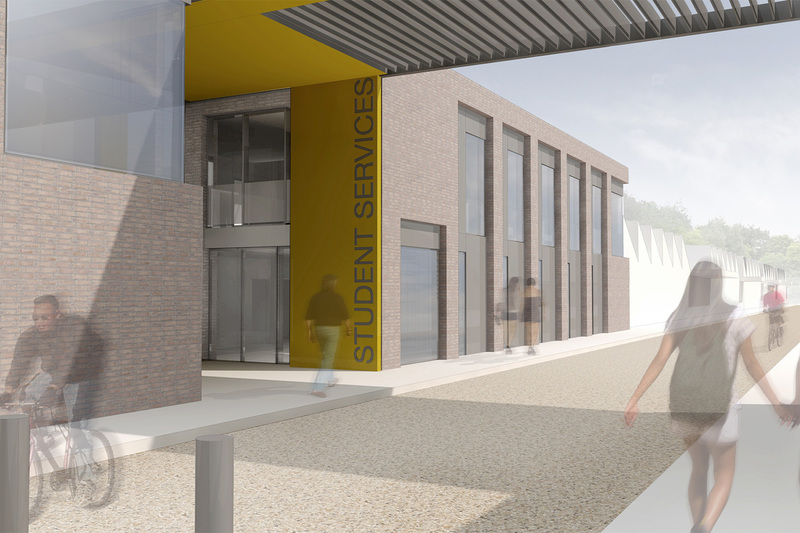 Defining a new approach to the campus with a suite of new facilities for the Universities’ Student Services. 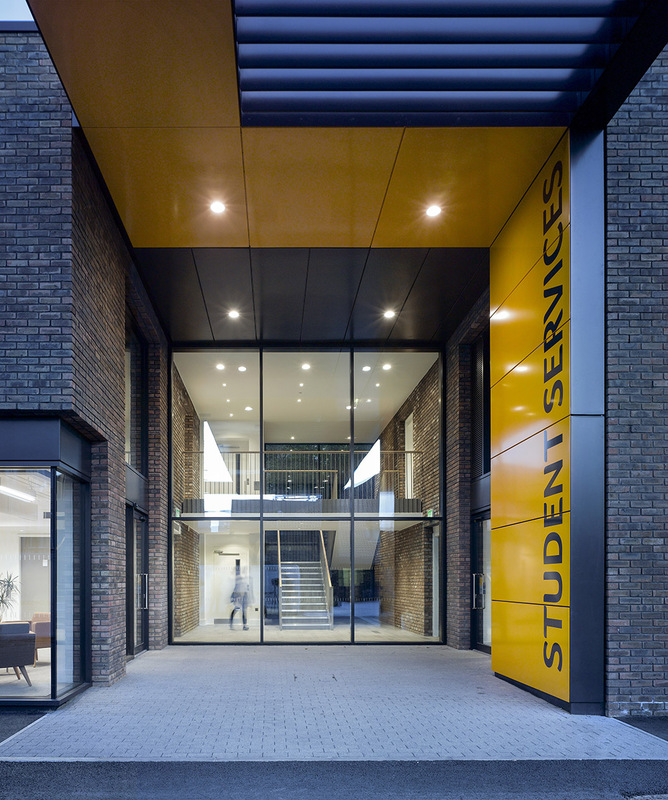 A suite of new buildings providing improved and expanded facilities for the Universities’ Student Services, Student Union, and Facilities Management departments. 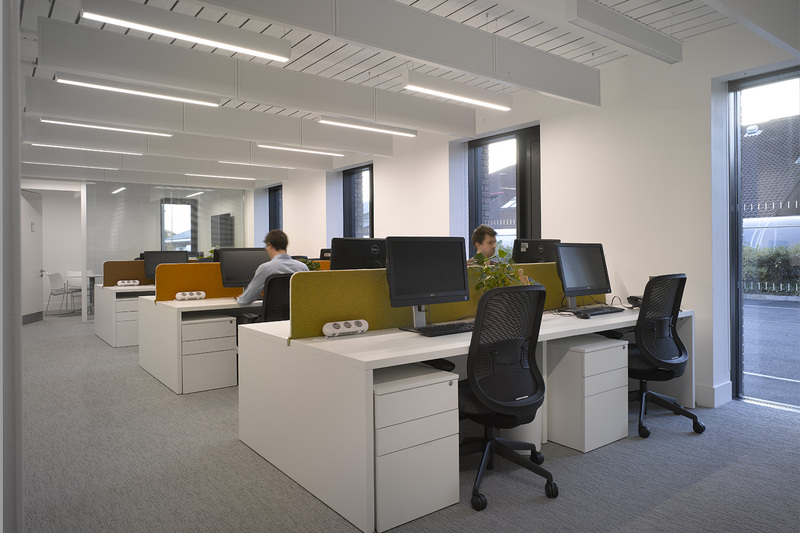 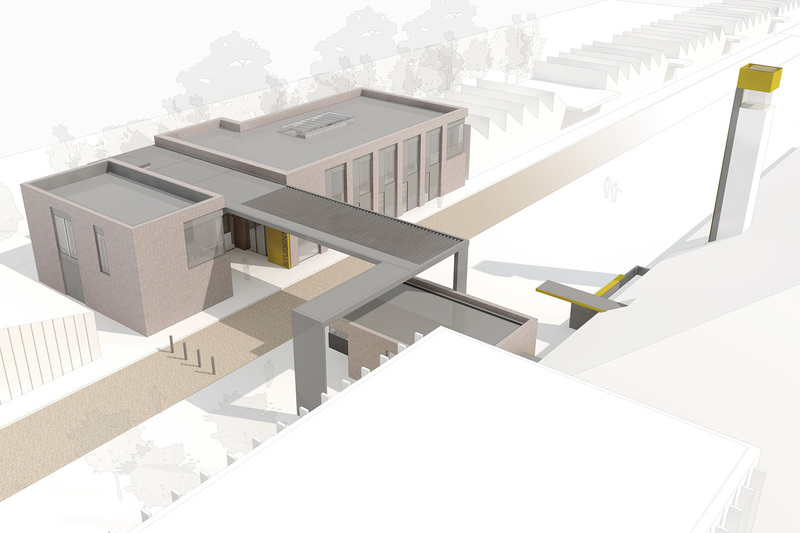 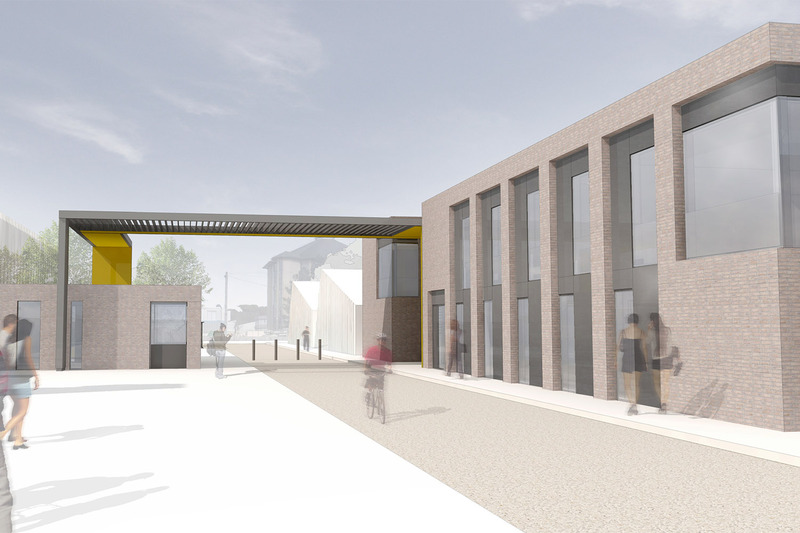 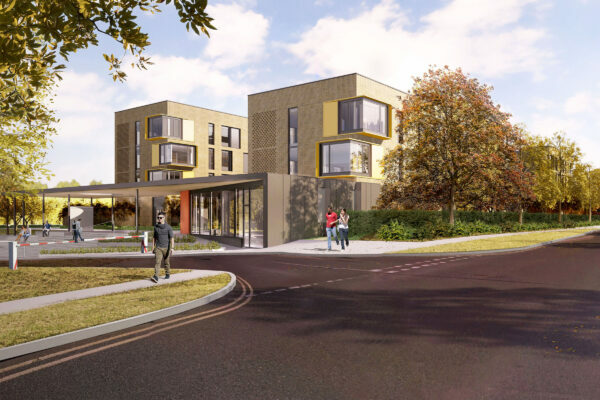 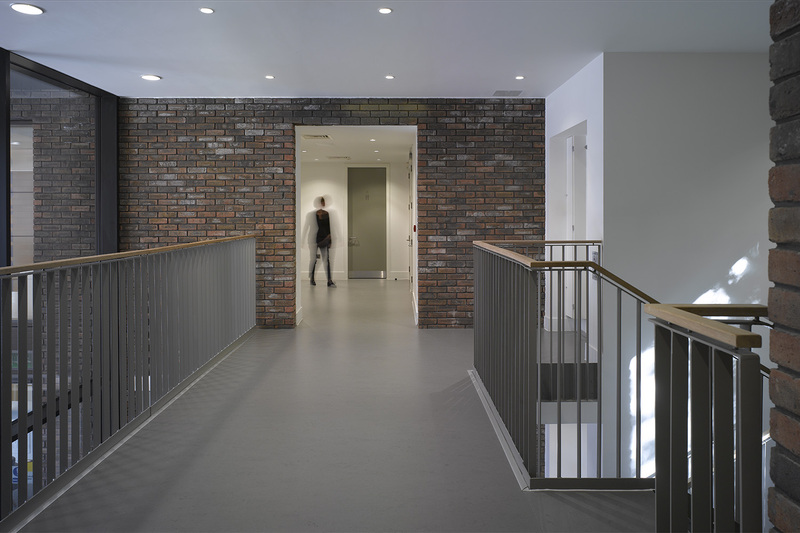 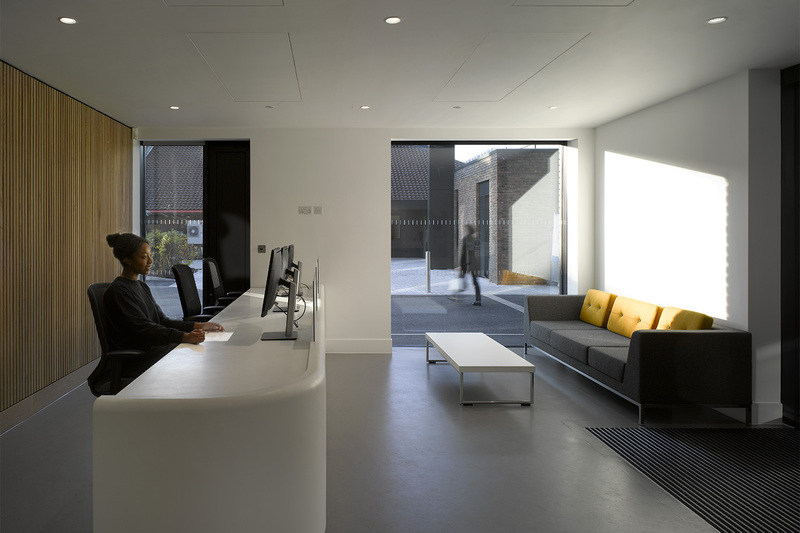 Two-storey brick-clad new buildings, together with re-clad and refurbished existing spaces, provide improved reception areas, new staff offices and meeting spaces, including dedicated consultation and counselling rooms, and a GP surgery space, connected by a new foyer, stair and lift. 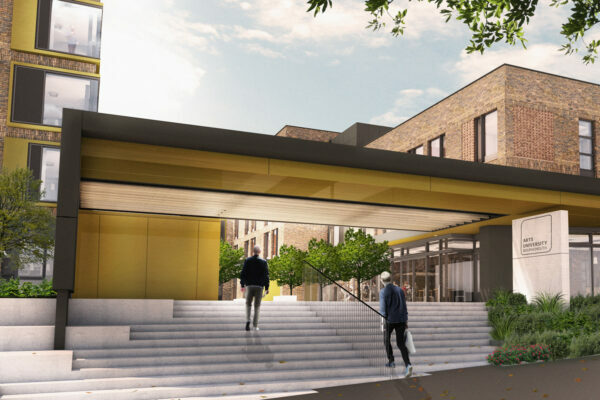 A sculptural steel external canopy extends over the road to visually link the new spaces, and well as identifying the building entrance and adding impact in defining a new approach to the AUB campus. 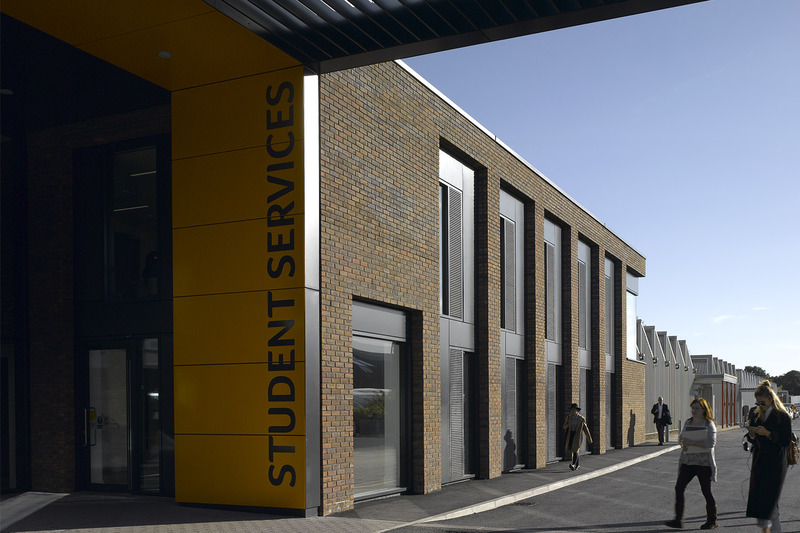 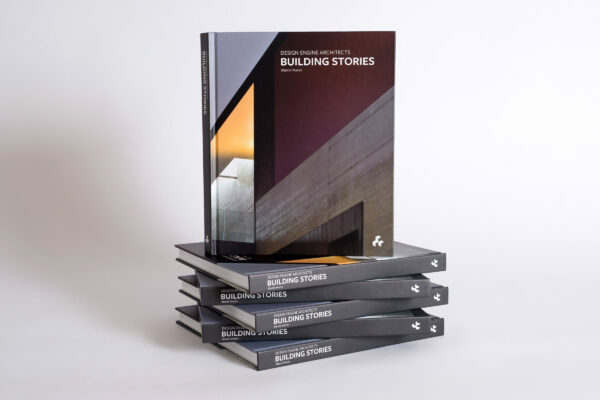 The brickwork cladding and aluminium facades have been detailed to appear both contemporary and also integrate with existing buildings on the site. 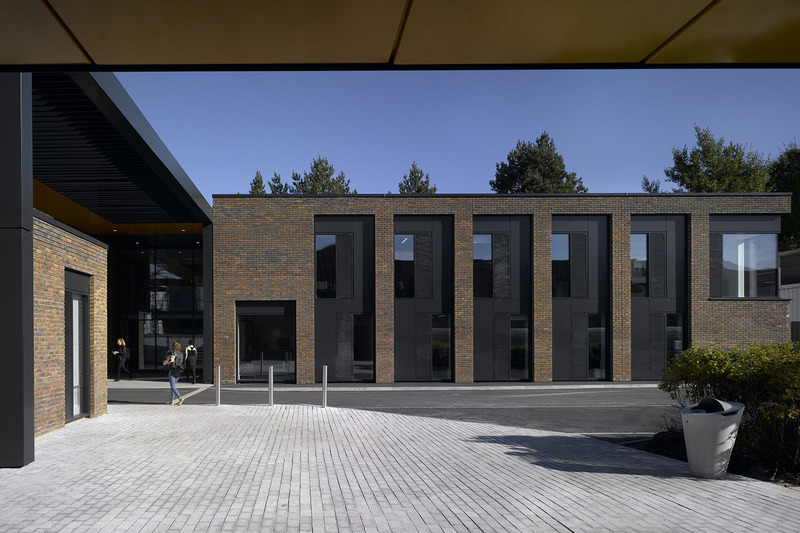 The construction system uses a innovative form of insulated concrete formwork, which together with triple-glazed facades, and bespoke mechanical and environmental systems, are designed to target ‘Passivhaus’ environmental performance standards, producing a highly insulated and air-tight building envelope that minimises the buildings energy consumption and running costs in use. 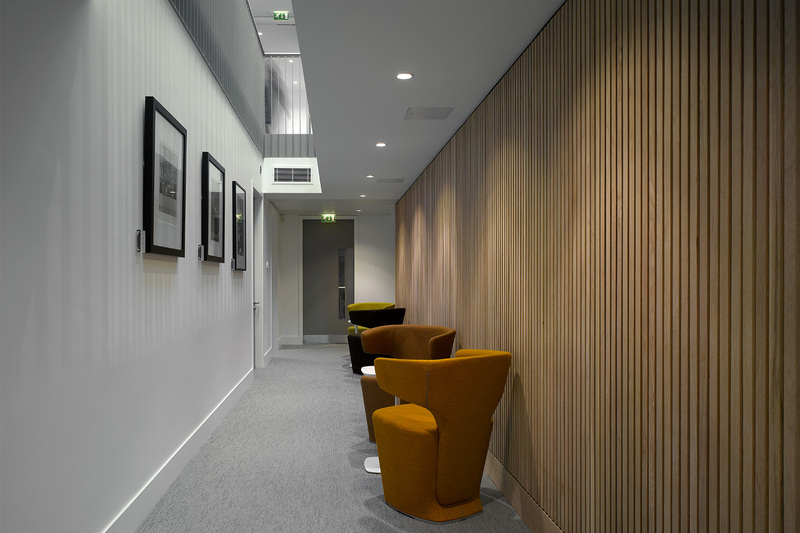 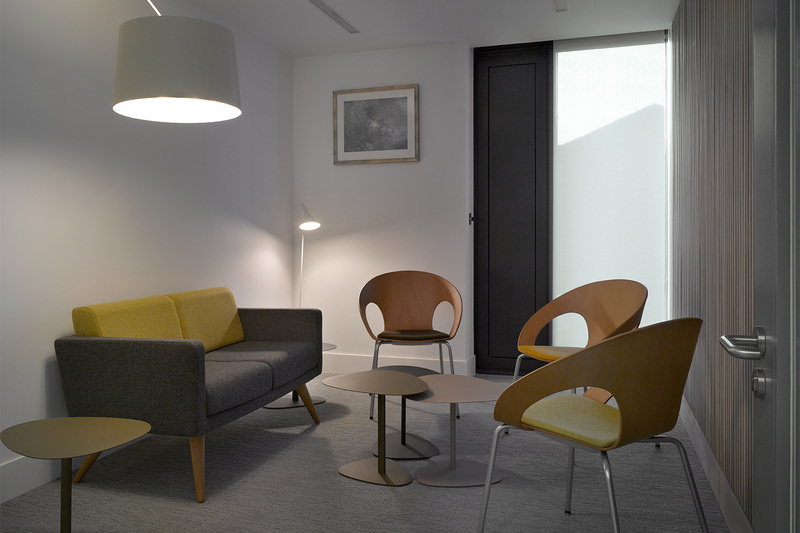 Internal structure and finishes have been optimised for acoustic control, and care has been taken to select furniture and specify colours and fabric finishes that create a suitable sense of comfort and coherence to the building interiors that supports the atmosphere of communication and counselling which was at the heart of the clients brief for the project.